By Brian Adoff, national sales manager, NuVision Networks Corp.
First used to track meal plans, the One Card has moved from a combined payment “all-campus card” to a system synonymous with convenience, security and efficiency across campuses. One card programs have moved out of dining and auxiliary service departments and now encompass entire campuses. Athletic departments use one-cards to track game attendance or check out gym equipment. 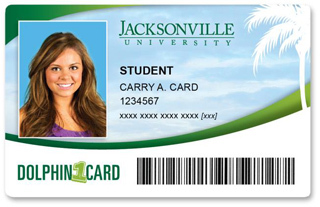 Institutional Advancement uses the One Card for valuable reporting on alumni card usage. Student Affairs track attendance to events, set up student votes, sell tickets and more. With all of this expansion throughout the campus, what challenges are administrators facing as they head into 2011? The first big challenge in what this “One Card 2.0” world is tying together disparate campus systems. 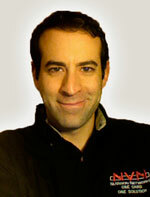 New technology has produced a number of new and affordable products to add services to your program. Unfortunately, this can leave you with myriad of different single application systems that do not work with each other. As you open an account with each new service, someone in your card office or IT department has to manually type students’ names and information into a new databases. The key words for 2011 is: Integrate. Everything. Since the One Card system generally resides right below the Student Information System in terms of data flow, it is in a powerful position to siphon data to all of your other applications in real-time. All card programs should take advantage of this setup so, ideally all data in your Student Information System—Banner, Jenzabar, PeopleSoft, etc.—integrates in real-time with your one-card system, and that data is integrated with your bookstore, access control, laser print management, housing module, parking registration, dining services, judicial, off campus, retail management, etc. Everything happens behind-the-scenes, automatically and in real-time. The second challenge is to keep customers engaged. Today’s students are inundated with distractions are unlikely to take the time to go out of their way to see what the card office is promoting. Your solution is to take your marketing messages and one-card services to their main source of information and communication: their mobile phones. This is where your message needs to be. Students habitually check Twitter and Facebook pages on their phones, and text their friends. A lot of one-card offices are aware of this and have set up pages on Facebook and Twitter. This is a good first step, but just posting some photos and information is not enough. Social media tactics must engage the students or they will be ignored. Be proactive with your marketing. You can use Twitter to initiate action from your current followers and expose your message to a network of their peers to gain more Twitter followers. By speaking to students through an informal medium like Twitter you can build stronger relationships with your customers, and finally lead to more sales and revenue. Without too much effort, you can setup a simple re-tweet contest. This is a popular and easy tactic that creates a dialogue among your followers and increases followers. The rules are simple, you send out a promotional message and ask your followers to spread or “re-tweet” the message over a period time (usually several days). At the close of the contest randomly choose from the re-tweets and award the sender of the message with the pre-determined prize that’s announced at the onset of the contest. For instance, travel company Orbitz frequently ran a contest: “Last day! Win 1 of 10 round-trip airline tickets! Follow @Orbitz and RT this msg to enter.” You can do something similar by giving one student a $25 bonus to their declining balance account, or free tickets to show or sporting event. To aid with your charge of mobile marketing, NuVision Networks is developing a mobile webapp version of our popular Campus Center application. Campus Center is a college-hosted Web site that among other things enables students to deposit money to their accounts, put their card on hold, participate in student votes, pay for fines and purchase event tickets and even order and pay for their lunch right from their mobile phones. Incorporating your social media strategy with Campus Center makes it easy for students to act immediately on your mobile marketing messages. Students see a tweet or status update on their phone about available rush tickets and with a couple of clicks on their phone they can purchase those tickets using their one-card account. It can be overwhelming to think about the work involved in setting up a successful marketing or social media campaign so it is important to do your research. There are many third party Twitter applications that allow users to pre-write and schedule tweets. Dedicate 15 minutes every morning to write and schedule messages to go out throughout the day, week or month and soon a piece of your marketing will be fully automated.